At The Westin La Paloma Resort & Spa, you'll discover an experience with a singular focus: making you feel special every moment of every day. 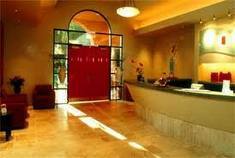 In fact, our guests often remark on the magical qualities of our wonderful haven. Whether you're joining us for business or pleasure, all your senses will be pleasantly engaged, beginning with our Westin Sensory Welcome. Enter our magnificent, light-infused lobby, where grand, 3-story arched windows frame a stunning, panoramic view of the Catalina Mountains. Calming music, soothing aromas, and plush sofas & lounge chairs invite you to leave the cares of the common world behind. Throughout the day, we take every opportunity to make this day more enjoyable, more comfortable and more energizing for you-whether that's by offering a cold bottle of water after your run, or bringing fresh flowers to your room. Your special treatment continues through the end of the day with UNWIND, a Westin evening ritual in the main lobby, where the majestic Catalina Mountains provide a stunning backdrop to a few rejuvenating hours of cocktails, light bites and delightful entertainment. Sink into a lounge chair and calm all your senses. Now you know what it feels like to be a guest at The Westin La Paloma Resort & Spa.